Provide comfort for the family of Virgie Murtagh with a meaningful gesture of sympathy. 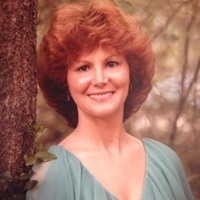 Virgie Ruth Hammett Murtagh of Pickens went to her heavenly home on March 14, 2019. She died at Baptist Hospital in Jackson after a short illness. Ruth was born on December 7, 1939, to Dolph and Virgie Hammett of Lexington. Ruth graduated from Lexington High School in 1958. After graduation, she was employed at the telephone company in Lexington until her marriage to her husband Jimmy. Ruth later worked as office manager for Dr. Paul Goode of Jackson. She worked as a federation secretary for Farm Bureau until her retirement. Ruth is survived by her sons James Edwin Murtagh Jr (Eddy) and wife Sheryll, Johnny Thomas Murtagh and wife Cathy, and daughter-in-law, Lisa Murtagh, all from Ebenezer. She is survived by her siblings Libby Dittmar, Flossie Goode, Richard Hammett (Chris), Brenda Adams (Thomas), Robert Hammett (Terrell), Shelia Hammett, Notie Turner (Mike), Dell Waxman (Sammy), Tammie Courts (Myron) and sister-in-law Rosemary Hammett. She is also survived by her grandchildren Josh Murtagh, Jason Murtagh, Bryan Murtagh, Jay Murtagh, Nicholas Murtagh, Hallie Ruth Rutledge (Bailey), John Thomas Murtagh and four great grandchildren. Ruth is preceded in death by her husband James Edwin Murtagh (Jimmy) and her son Walter Ronald Murtagh, both from Ebenezer, and her parents Dolph and Virgie Hammett and brother Harold Dodd Hammett all from Lexington. Pallbearers are Jay Murtagh, John Thomas Murtagh, Jason Murtagh, Nicholas Murtagh, Bryan Murtagh, Damon Dittmar, Dan Hart and Chase Hammett. Visitation will be Friday, March 15, from 5:00 - 7:00 pm at Southern Funeral Home of Lexington. Funeral services will be held Saturday, March 16, at 10:00 am at First Baptist Church of Pickens. Burial will be at the First United Methodist Church of Ebenezer. Donations may be made to the church or charity of choice. To send flowers in memory of Virgie Ruth Murtagh (Hammett), please visit our Heartfelt Sympathies Store. We encourage you to share your most beloved memories of Virgie here, so that the family and other loved ones can always see it. You can upload cherished photographs, or share your favorite stories, and can even comment on those shared by others. Provide comfort for the family of Virgie Ruth Murtagh (Hammett) by sending flowers. Heartfelt Sympathies Store purchased flowers for the family of Virgie Murtagh.